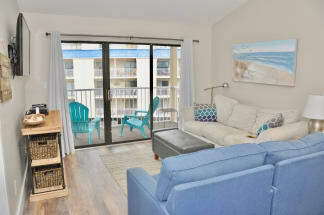 Welcome to Romar Beach Condominiums! This gorgeous complex is just a very short walk from the sugary sands of Orange Beach in Gulf Shores! Of course, the condos are full of luxury, elegance, and comfort to satisfy your every need for this trip. These Condos come complete with all the amenities you will need such as a washer and dryer, flat screen tv's, dishwasher, and more! When it comes to both relaxing and having a good time, Romar Beach Condominiums is the perfect place for you! Numerous beach attractions offer you a wide variety of activities to participate in while you stay. Parasailing above the water, going on an awesome boat tour and enjoying all of the cool sights you’ve never seen before, deep sea fishing way out on the water, and just paddle boarding, hanging out near shore! After you’ve had all your fun and you’re ready for a delicious meal, you’ve come to the right place. There’s a wide variety of local places all specializing in excellent seafood and service, and some even provide you with an amazing view of the coast while you enjoy your meal. Emerald Coast by Owner is happy to bring you our selection of Vacation Rental Properties in Romar Beach Condominiums along Orange Beach West and more! When you book with Emerald Coast by Owner, we make it easy for you to choose where, when, and what you want to do on your trip. Be sure to click the email owner button found on each listing to send a property owner a message directly. Book online today with ECBYO!